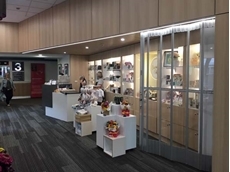 Folding closure doors from ATDC were recently installed to secure the new gift shop at the Geelong University Hospital. 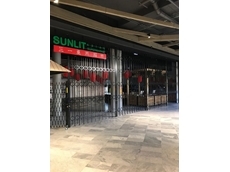 The Australian Trellis Door Company (ATDC) installed their door closures at the Sunlit Asian Supermarket located in Westfield Coomera. 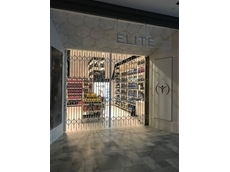 The redevelopment at the Westfield Coomera is an excellent showcase of a broad range of shopfront closures by The Australian Trellis Door Company (ATDC). 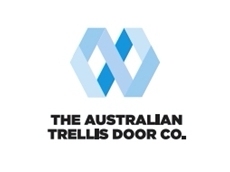 The Australian Trellis Door Company (ATDC) has installed their unique shop closure doors at numerous Guzman Y Gomez (Guzman) restaurants across Australia. An Australian licensed franchise business with over 100 restaurants specialising in Mexican food, Guzman operates throughout Australia, Singapore and Japan. 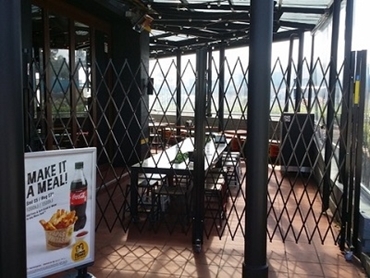 For a recent project at Guzman’s Wetherill Park restaurant in Sydney, ATDC’s shop closure doors were installed to protect the outdoor seating area of the premises. ATDC provided a cost-effective solution by supplying trackless door closures that didn’t require any expensive overhead structure for support. Installed at a height of 2520mm, the closures are lockable; being completely mobile, they can be stored back of house during business hours. ATDC’s closures are sold throughout Australia and also widely exported across Southeast Asia. 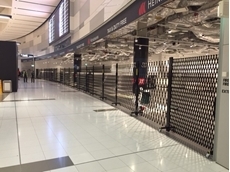 For further information on ATDC’s shop closure doors and portable barriers, please contact toll free from anywhere in Australia on 1800657435 or visit ATDC’s website.